The IBM 7950, also known as Harvest, was a one-of-a-kind adjunct to the Stretch computer which was installed at the US National Security Agency (NSA). 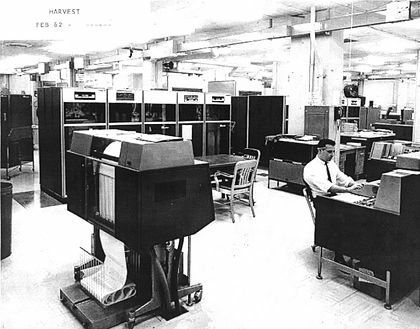 Built by IBM, it was delivered in 1962 and operated until 1976, when it was decommissioned. Harvest was designed to be used for cryptanalysis. From a single foreign cipher system, Harvest was able to scan over seven million decrypts for any occurrences of over 7,000 key words in under four hours. This entry was posted in Big Data, Computer history. Bookmark the permalink.